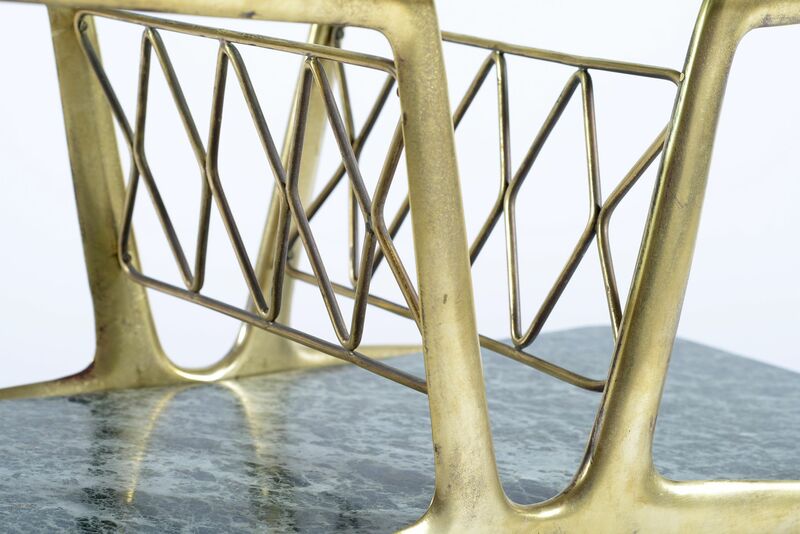 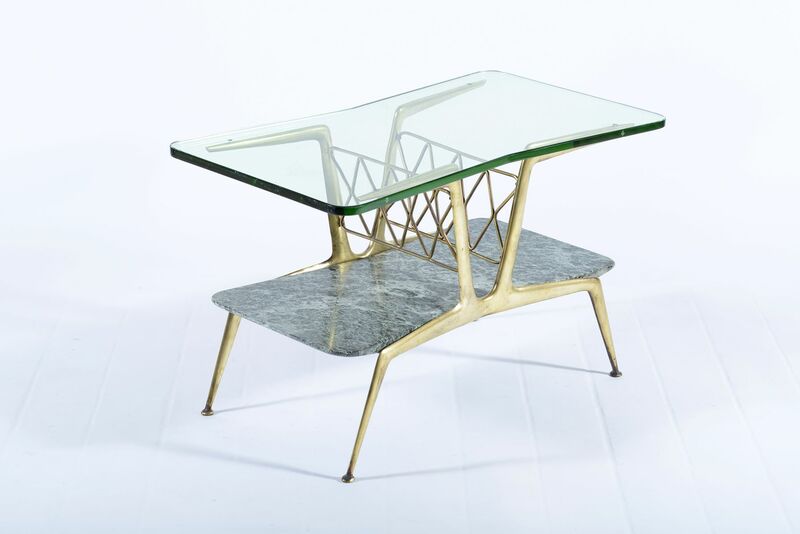 This mid-century coffee table with a magazine rack space below was produced in Italy in the 1950s. 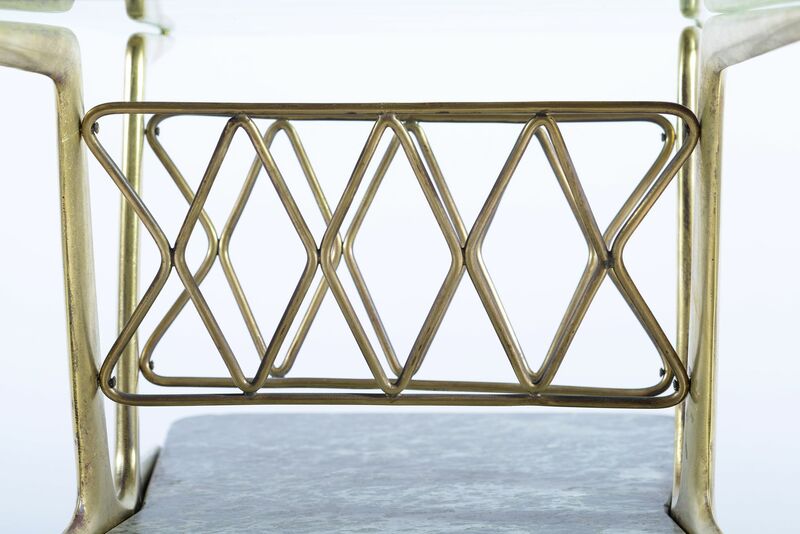 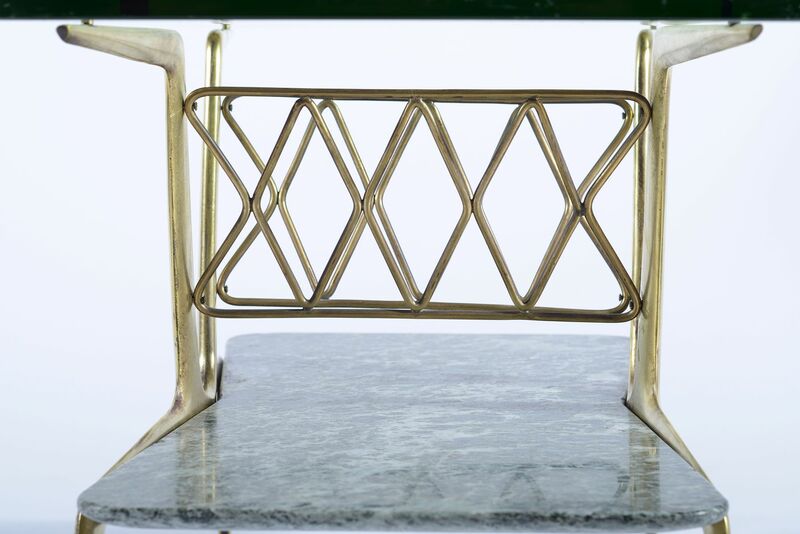 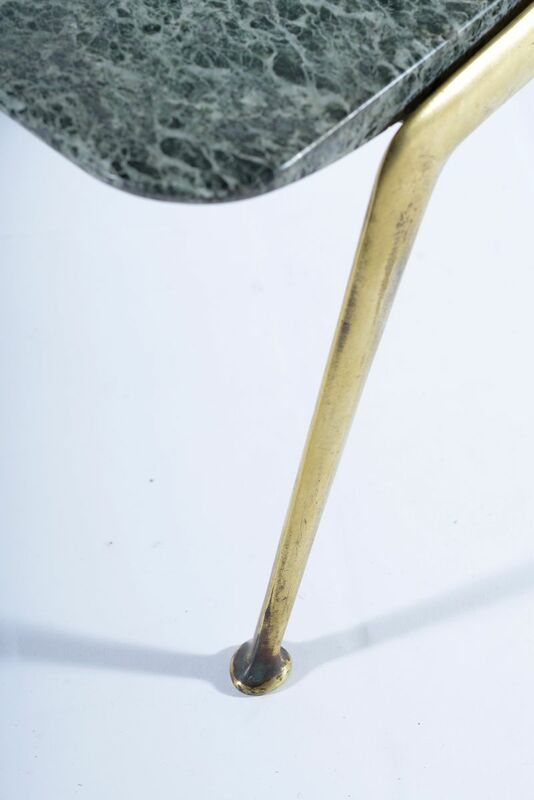 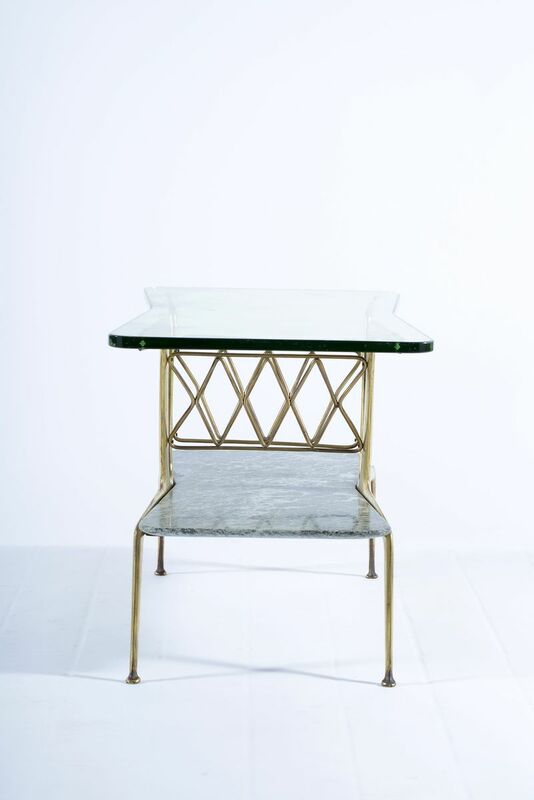 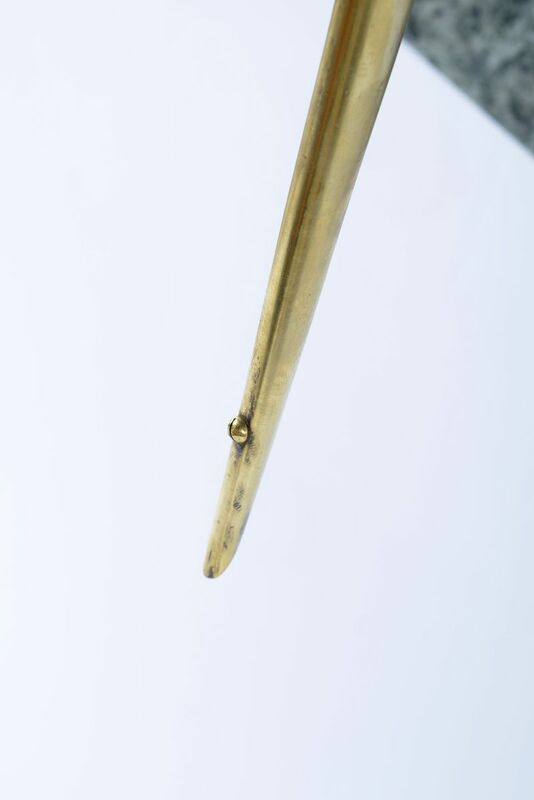 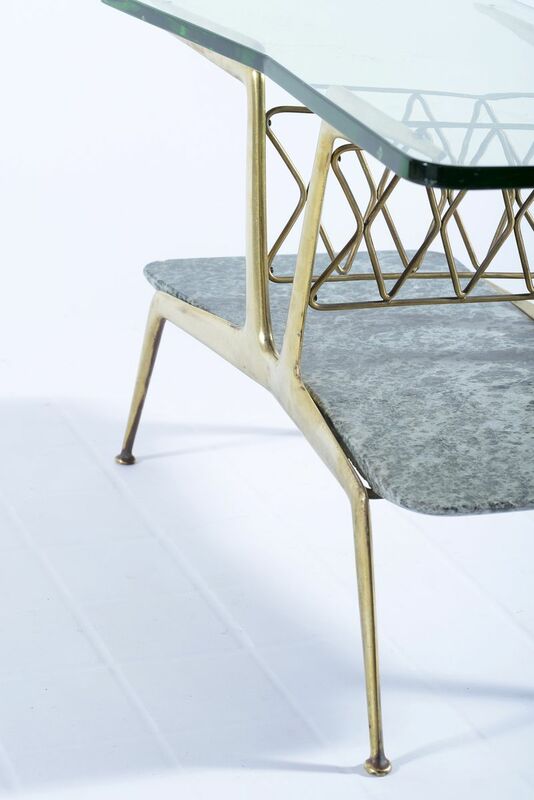 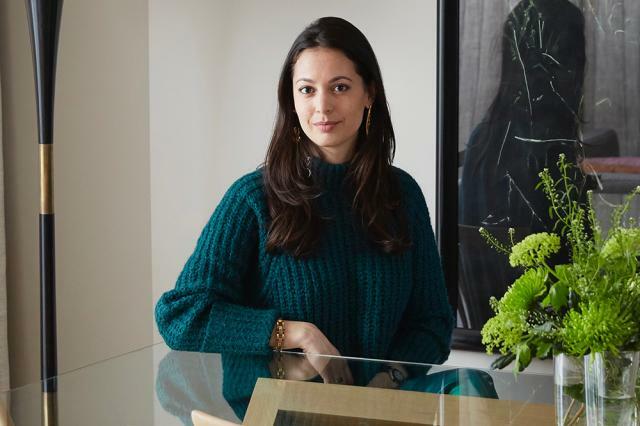 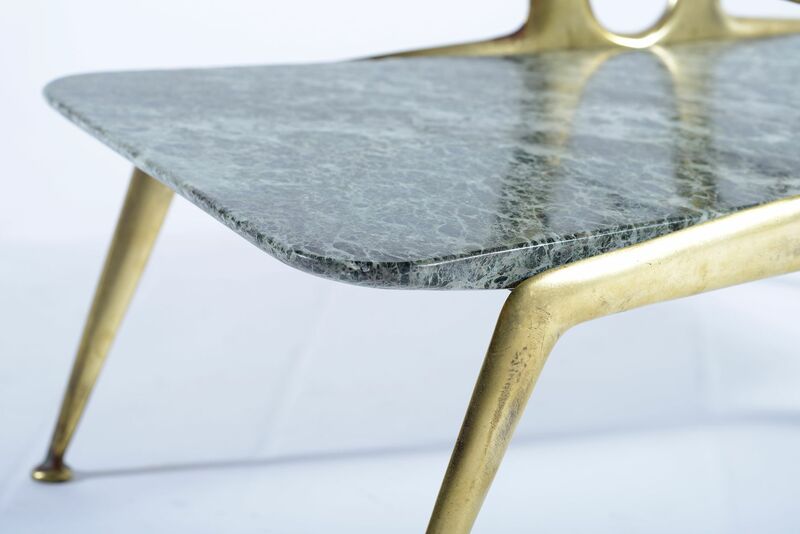 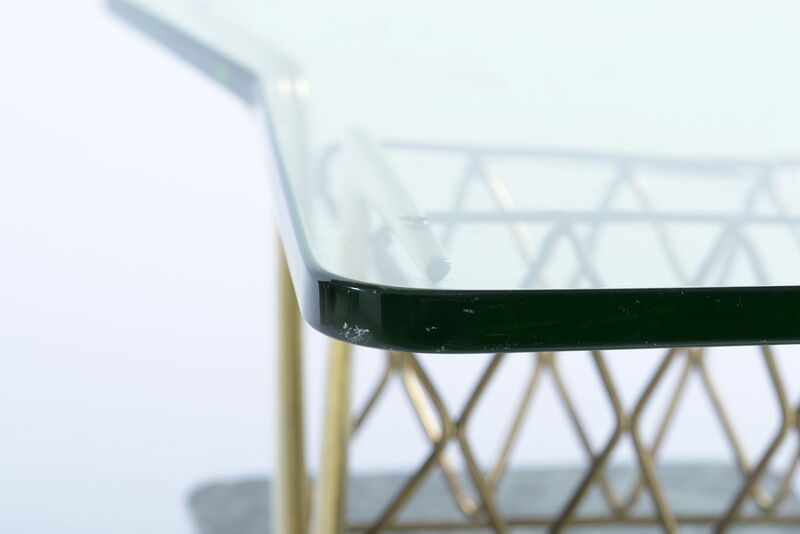 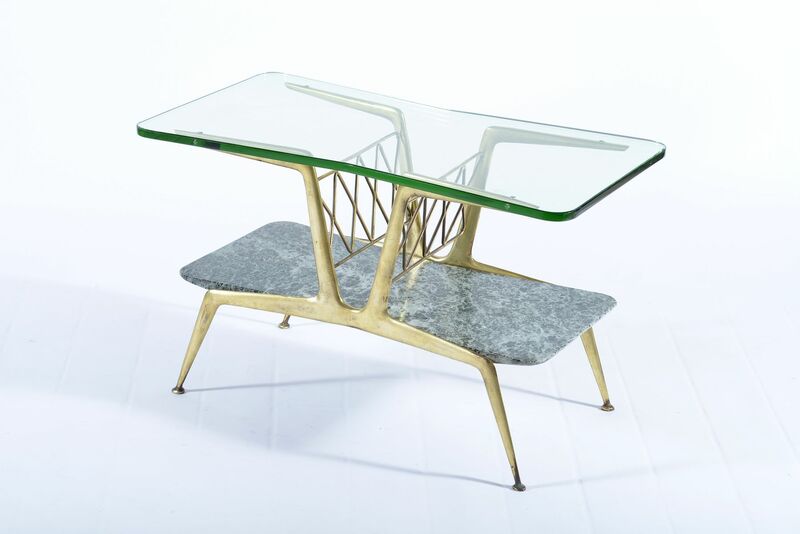 It is made of cast brass with two tiers and the upper part takes a double fan shape supporting a thick glass top with rounded corners. 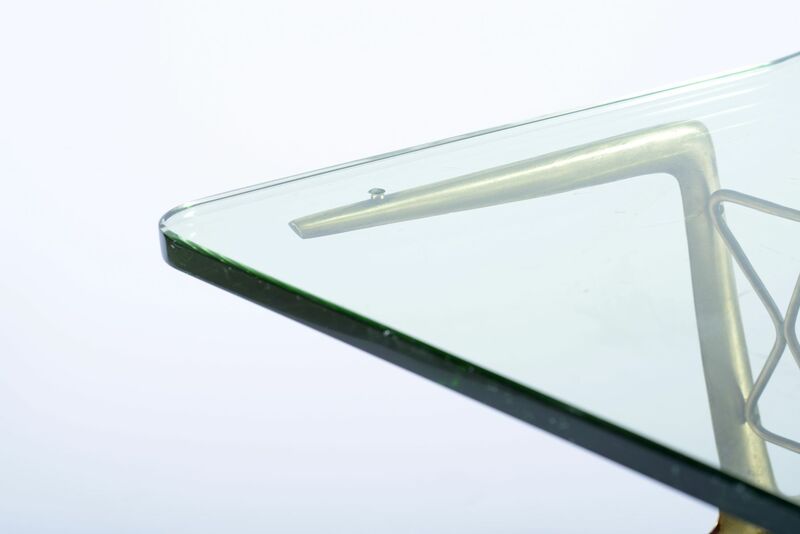 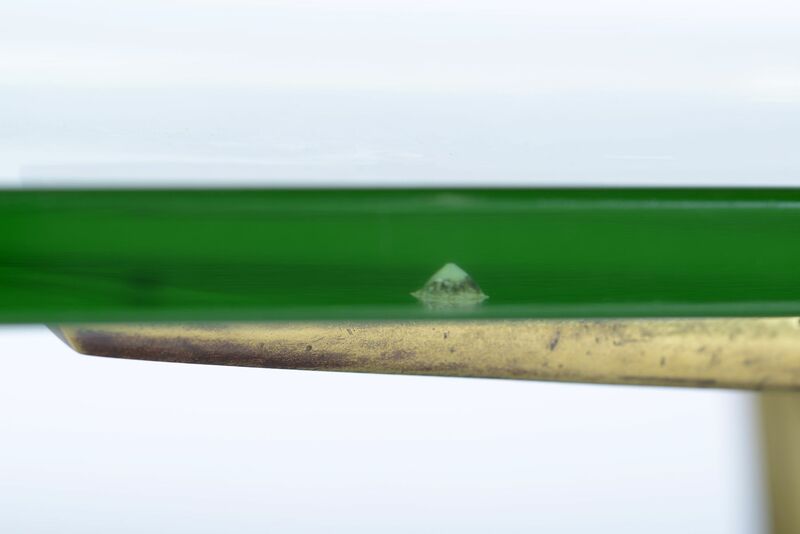 The top has holes in the glass where it connects to ensure it is stable. 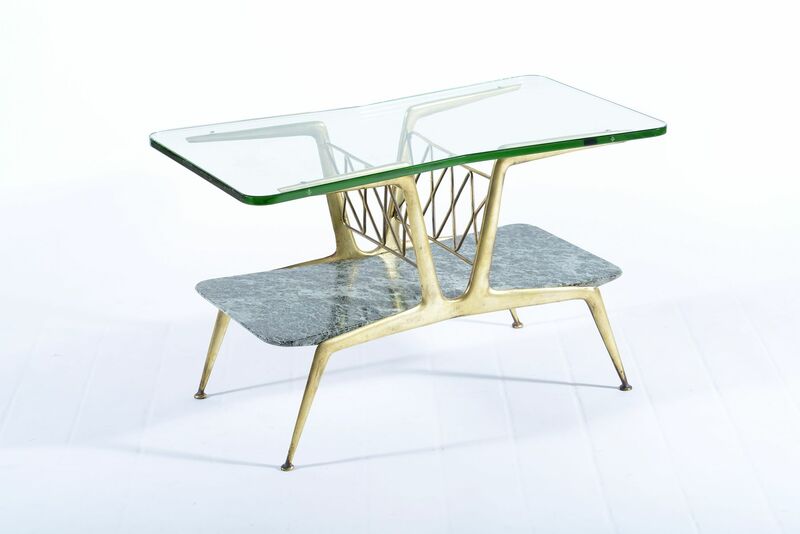 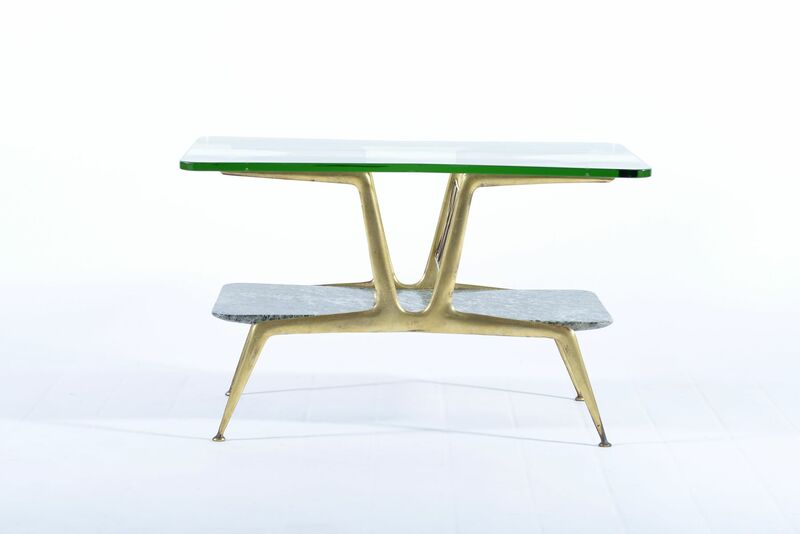 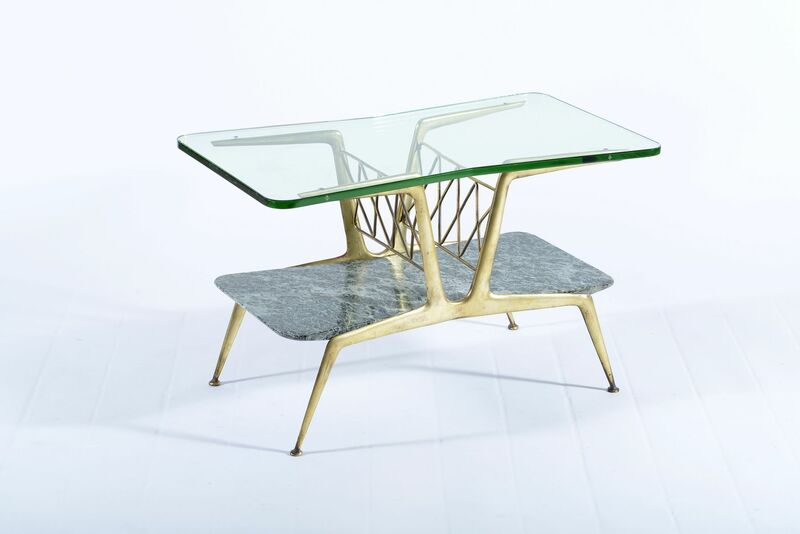 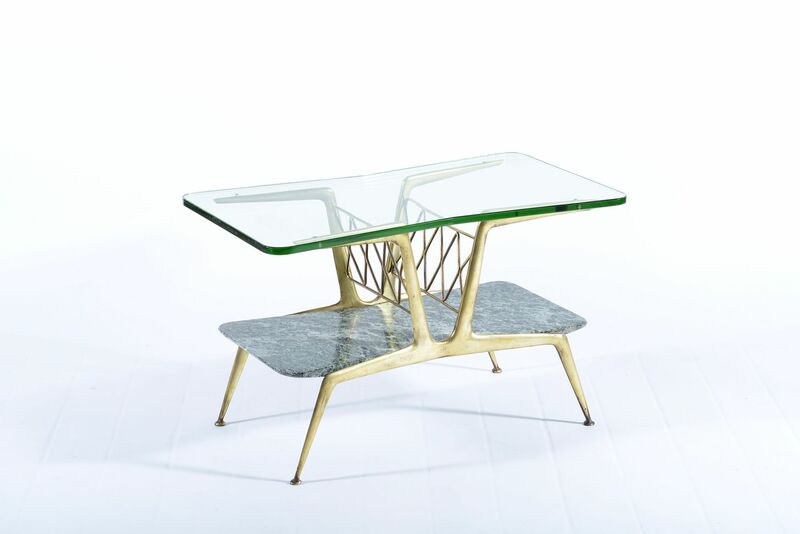 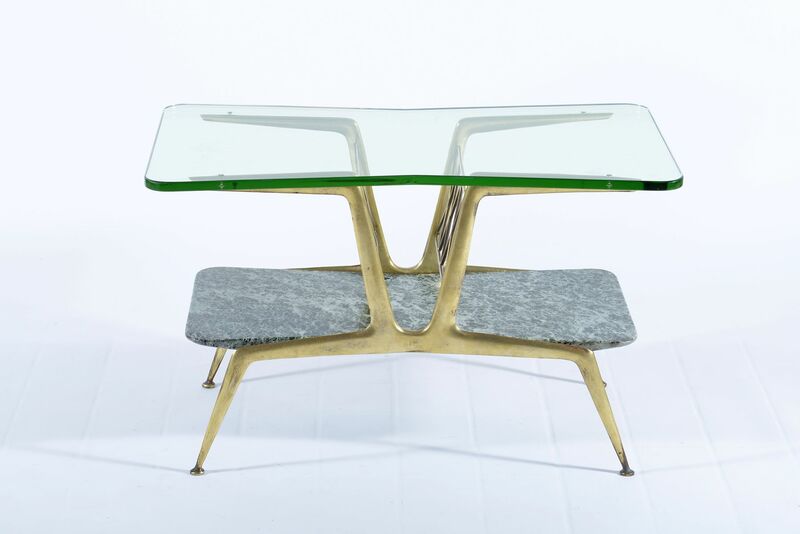 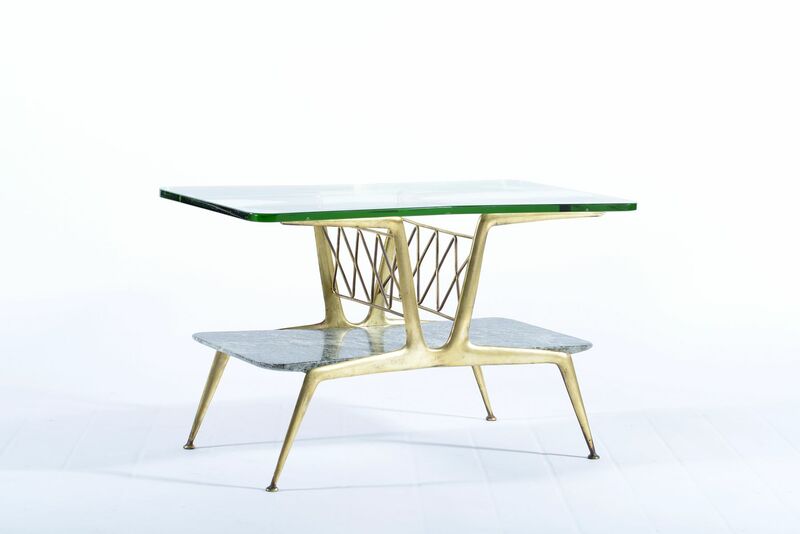 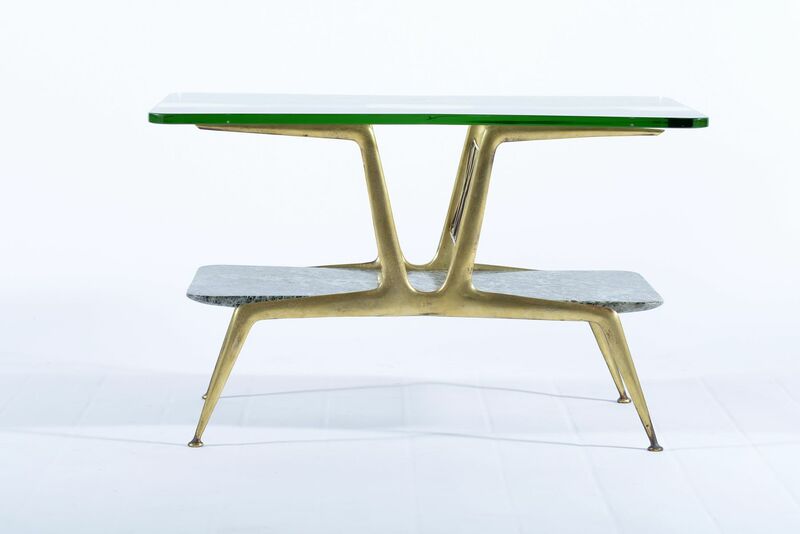 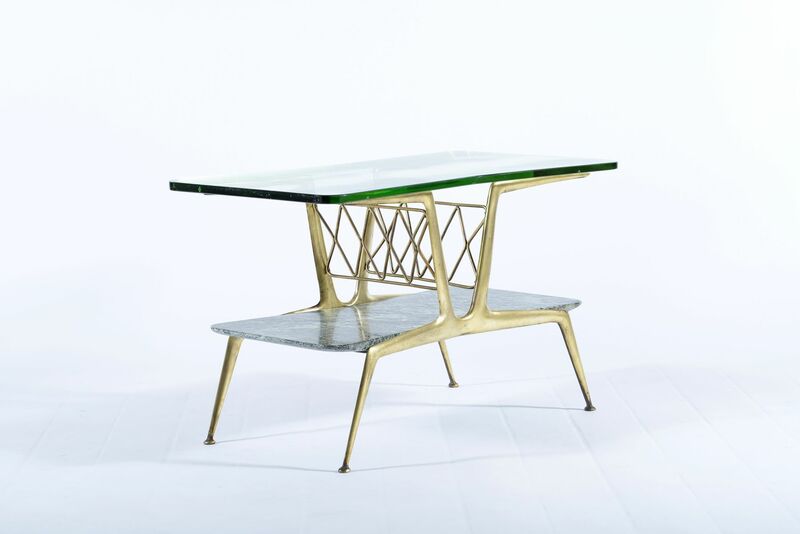 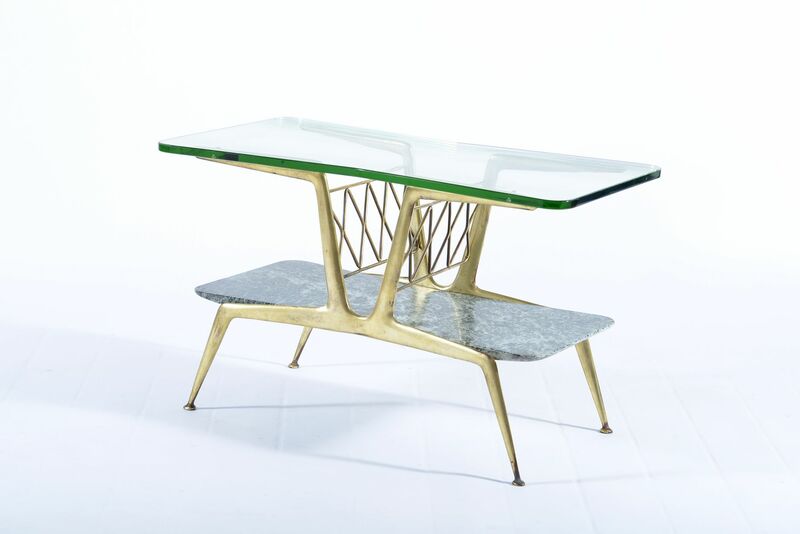 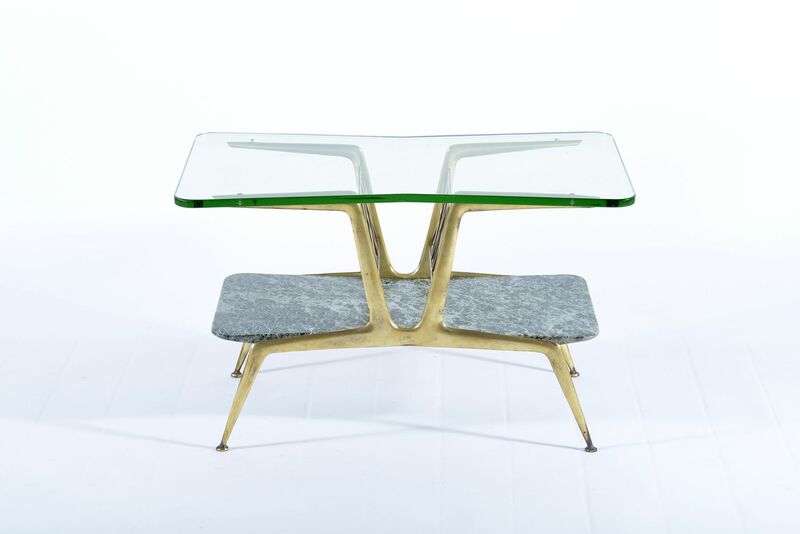 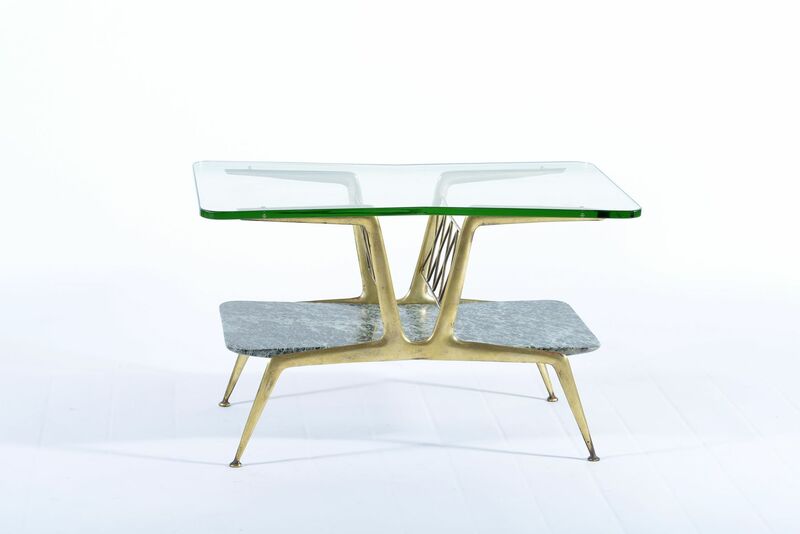 The table was designed by Cesare Lacca in Milan between 1948 and 1950.